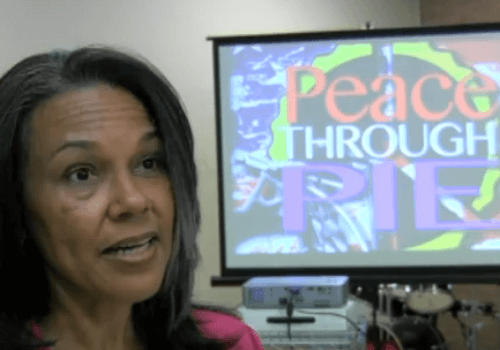 Member Toni-Tipton-Martin (member of Faith for Life Church) with Peace through Pie founder, Luanne Stovall, host a Peace through Pie Social at the Faith for Life Church. The Peace through Pie concept focuses on community, diversity while promoting PIE as the annual food tradition to be associated with the King holiday. Pie is a wonderful way to draw people in, it’s not scary, we talk about our commonalities, and what challenges us as a society. It’s important to tell our stories, that's how we get to know each other, break down barriers, and learn to come together without fear. The idea of breaking bread together, in this case sharing pie, is that expression that is a christ-like-way, a way of reaching out to people and showing them your love.